Taylor Publishing (owned by American Achievement Corporation) had previously built an online publishing system that allows schools to create yearbooks. The system was not performing as needed, did not scale to the market, and was endangering $100M in revenue. Michael created an architecture plan for high availability, developed a plan and budget for implementation, and led the successful development and launch. The system performance has stabilized and is meeting the needs of customers during peak usage. The customer support call volumes have decreased and the company is spending time on new initiatives. TurboTax.com online tax preparation product receives additional revenue by selling advertising within the product and Intuit also provides customized branding to over 1000 credit unions across the US to provide a tax preparation product to credit union customers. Turned around potential $500K revenue loss per day, and public relations nightmare, in two days, repairing technical glitch and enhancing Intuit’s reputation as being highly responsive, without loss of customers. Intuit launched a wiki solution (TaxAlamanac.org) to encourage customers to add to it/write articles for free, but customers were not participating. Product Manager learned that customers did not know how to write articles but would answer any question written. Led creation of TaxAlmanac extension with no unscheduled downtime in two years, receiving mention in Time Magazine, Business Week and awards from CPA Technology Advisor. At least 20 employees in CMS Marketing Communications department worked with hundreds of vendors from across the US and needed access to vendors, but locating vendor information with toll-free phone numbers slowed down process and increased long-distance charges. Created collaborative contact management system for CMS, increasing efficiency, reducing long distance calls and increasing vendor information. Companies primary method of offering products was via an expensive, annually printed 2000-page catalog, often showing outdated prices and insufficient information. Created first electronic version of product catalog for CMS, offering current pricing and product for customers, eliminating confusion and improving customer service. Intuit was in the process of upgrading many backend systems, product information was duplicated in more than 10 systems, and not able to provide a consistent experience for customers, and pricing changes were time consuming and were not reliably applied to all systems. Spearheaded cross-functional team, sun-setting systems to reduce costs and ensure more consistent pricing. Intuit wanted to create corporate policies for internal security and handling of customer data. 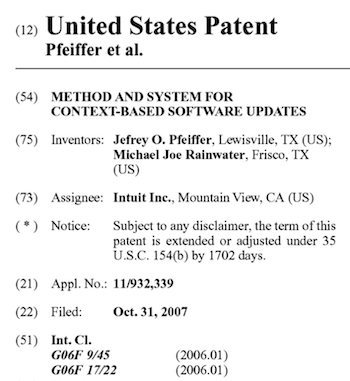 Key team member creating internal security/handling of customer data adopted by Intuit and filed with SEC. Intuit combined marketing databases for TurboTax and QuickBooks and needed method for customers to specify privacy contact preferences, as required by state laws and subsequently federal legislation. Led team creating new 24x7 system to support customer privacy preference management, experiencing no unscheduled downtime, complying with all state and federal legislation and still in effect six years later. Accounting Professionals Division charged with creating five new product offerings per year to accelerate growth/bring in new revenue streams; however, most resources were required to maintain current product lines and company reduced workforce for last three years. Led design/build team in positioning Intuit to create and deploy five new product offerings each year. Dealer Solutions had created a windows-based client server application using PowerBuilder and MS SQL Server, which executed on Windows desktop and had to be installed on each desktop to apply upgrades. Application was well-received and met customers needs well but was difficult to install / configure and support costs were rising. Led Dealer Solutions in creation and execution of a new strategic technical roadmap to enhance the company in the eyes of potential suitors Chrysler, Ford, Toyota and ADP, positioning company for subsequent purchase by ADP. Intuit needed to increase market share by increasing retention of first-year customers, which was ~60%, even though second year retention was >90%. Led development team delivering new program that increased first-year customer retention by over 15% and became the standard for Intuit’s Accountant Professionals Division. Startup, Dealer Solutions, found it difficult to acquire new customers and install systems at the required rate to become profitable. A customer, Republic Industries, had recently acquired National and Alamo Rent-a-Car and wanted to combine backend operations and integrate new businesses into existing Oracle Financial system. Spearheaded product development and launch, bringing 1500 locations online in one day, gaining $12M+ annually and positioning subsequent $60M sale of Dealer Solutions. "I worked with Michael on many projects over many years at Intuit. His technical leadership and influence helped to change the technology landscape of our business unit. He is dedicated, resourceful, influential and not does not fear change. I would work with Michael on any project if given the opportunity." "I've worked with Michael at Intuit for four years now, most recently on a program of change moving our BU into the connected services space. Michael developed the architecture necessary to support the offering, represented the design and development efforts to senior leaders and was the hands on glue that drove integration of disparate pieces of use cases through the various architectures and accross a variety of environments. I enjoyed working with Michael and would recommend him in the future." I am an accomplished, innovative, forward-thinking executive with repeated success in the design, redesign, and launch of leading-edge information technology solutions. My talent for analyzing processes and implementing key continuous improvement strategies with highly-effective results has consistently served as a catalyst to my success. I am an expert in digital transformation driving organizational alignment with current and emerging technology needs. Michael created and maintained architectural standards, improved department communication mechanisms and automated metrics collection, reducing costs. He led one company from the falling edge of technology in the eyes of potential vendors and suitors Chrysler, Ford, Toyota, Reynolds & Reynolds and ADP, positioning the company for subsequent purchase by ADP. Michael has been awarded 5 patents from the US Patent and Trademark Office in the area of social media. He has 3 additional patents pending in various eCommerce and social technologies. Led various IT teams teams at Balfour in product management, software development, QA, release management and technical support. Balfour specializes in manufacturing products that celebrate achievement (scholastic, championships, professional and personal). The company creates rings, yearbooks, championship jackets and graduation products.Primary responsibility included Java software used by customers for creating yearbooks and order/configuration of the complete line of Balfour products. Led agile development through the complete SDLC using both scrum and kanban. The engineering team delivers software on a number of platforms including Java, PHP, .NET and Objective-C (iPhone). Company website is www.balfour.com. Hired as Chief Architecture, Accountant Central, until two divisions merged. Developed high-level designs, reviewed and approved designs created by others. Mentored developers working in online applications and accounting applications. Developed PHP extensions for MediaWiki for www.TaxAlmanac.org wiki, as well as provide oversight for all development and deployments. TaxAlmanac has received many awards including: 2009 Innovation Award from The CPA Technology Advisor. Created and maintained architectural standards. Performed code reviews and formal inspections of requirements, designs, and code. Managed Privacy projects (Customer Privacy Infrastructure, Privacy Import Server, and Privacy Data Sync) with high quality and on-time delivery. Led the Central Customer System (CCS) production system and Ad Server (delivering ads to Intuit websites). Evangelized architecture strategies for Enterprise Services Bus and infrastructure domain within Intuit, resulting in successful contract with TIBCO Software Inc. Led cross-functional design team for implementation of “Item” (product definition) across company for release and sunset systems, reducing maintenance costs and consolidating product definition. Designed and developed internal department website. Improved department communication mechanisms and automated metrics collection, reducing costs. Selected as a participant in high-profile working groups that create corporate policies for Intuit including: Customer Data Handling security policies, Job Banding group for Software Developers at Intuit. Managed a team of developers to design and develop ADP Next-Generation Web-Based Enterprise Application suite using Microsoft technologies including Visual Basic, C++, and COM+ components. Developed technical roadmap for next generation product development. Managed a team of developers in delivering a Purchase Order solution for National Car Rental and Alamo Rent-A-Car. System requiring 24 X 7 uptime. Product successfully installed on time, on budget in more than 1500 retail locations in the US and Hawaii. Managed staff of nine managers and 40+ developers in large development project. Delivered automotive enterprise software solution including Sales, Customer Relationship Management (CRM), Vehicle Inventory, Parts, Service, Accounting, Payroll, and Executive Information System. Designed and developed a full-feature enterprise accounting system. Lead seven developers. Documented business requirements for the Accounting system by working with multiple dealership clients and automotive manufacturers. Led the Product Data Repository (PDR) project to design a strategic conceptual data-model for product information across the enterprise. Developed a database application in SQL Server 6.0. Coordinated with Marketing to deliver a repository for all product data contained in the printed catalog, with prices linked from DB2 database. Automated the production of the printed catalog pages and other literature, as well as a CD-ROM version of the product catalog. Designed and developed the first company website for CMS on the Internet. Designed and edited over 100 pages of the CMS General Catalog (completed Feb 1994). Designed various pieces of marketing literature and graphics art. Assigned to PDR development team to design and develop next-generation online catalog and a custom database publishing system. Managed employees in the academic department and maintained computers in the student laboratory. Delivered Computer Assisted Instruction on MS-DOS computers. Developed a financial aid tracking system to integrate with student database. Coordinated with government (TEA) and accrediting agencies (SACS) to met requirements for accreditation. Taught classes in software development, Mathematics and English as a Second Language (ESL). Managed 3 employees in the Registrar’s office, school bookstore, and night school program with 12 instructors. Responsible for scheduling students and maintaining both computerized and manual records. Designed and developed a Registrar’s Tracking Database. Taught Classes in: various computer languages/systems, SABRE, System I, Financial Accounting, Managerial Accounting, Math of Finance, English, Data Structures & Design, and Business Mathematics. Designed and developed custom applications specializing in Accounting systems. Developed several custom add-on packages integrating with off-the-shelf accounting software. Installed multiple point-of-sales systems and ERP systems for manufacturing including Fourth Shift. Managed the operations of all computer systems including IBM System/36. Designed and developed a management reporting system which integrated with off-the-shelf accounting system (Shelby Systems). Designed and developed a custom scheduling database and specialized Budget Management System. Performed duties as interim bookkeeper for both Christ Church and a $2 million Endowment Corporation. Managed three managers and 15 developers. Delivered back-office solution for Accounting, Payroll and customize reporting system. Balanced short and long-term objectives of company to meet critical needs. Provided direction to engineers implementing architecture framework using Sybase PowerBuilder 5.0.